Project: The objective of this project was to develop map templates and standardized graphics to be used in DOGAMI’s future Risk Map and HAZUS flood study products. 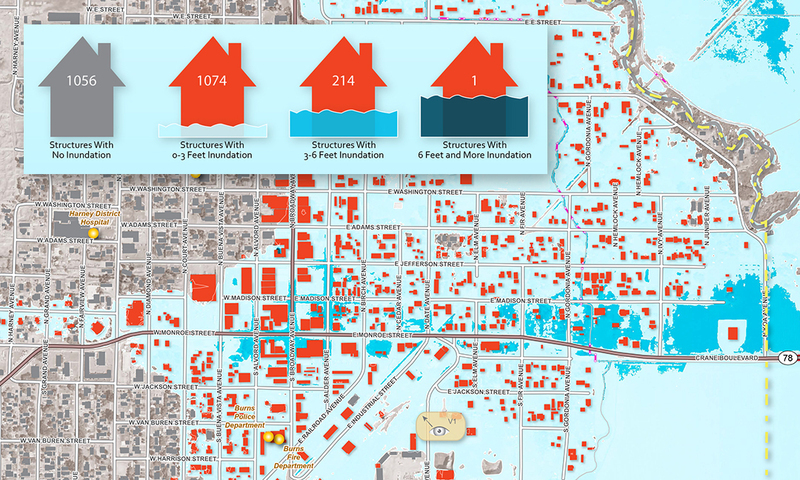 The hypothetical scenario in the draft map above is meant to show flood-affected structures and flood inundation levels for the studied community. 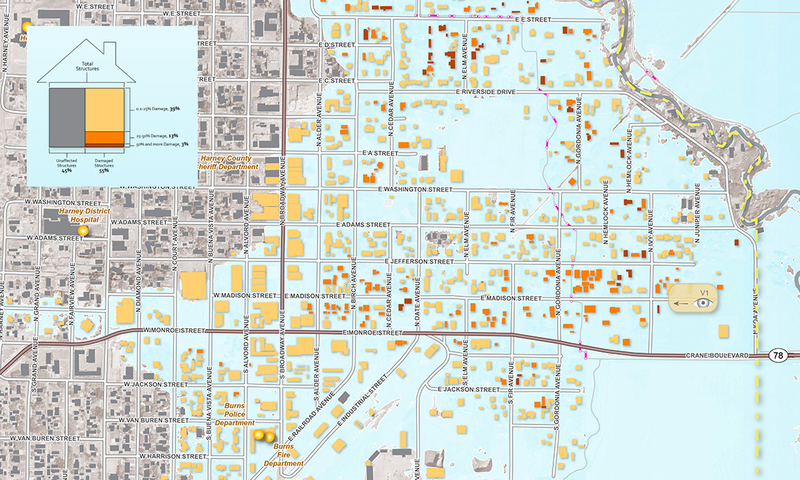 The hypothetical scenario in the draft map below is meant to show flood-damaged structures and flood damage levels for the studied community.